Known to millions as ‘The King of Waltz’, André Rieu is one of the world’s most popular music artists. His legendary annu- al Maastricht concert is the most eagerly anticipated cinema event of the year, last year setting new box office records in several countries. Set against the stunning medieval backdrop of the town square in André’s Dutch hometown, the spectacular Maastricht concert features the maestro in his element, along with his 60-piece Johann Strauss Orchestra, sopranos, tenors and very special guests. André delivers an unforgettable musical experience full of humour, fun and emotion for all ages. This presentation of André Rieu’s 2017 Maastricht Concert in Cinemas features host Charlotte Hawkins, who conducts an interview with André Rieu the moment he steps off stage, exclusively for cinema audiences. 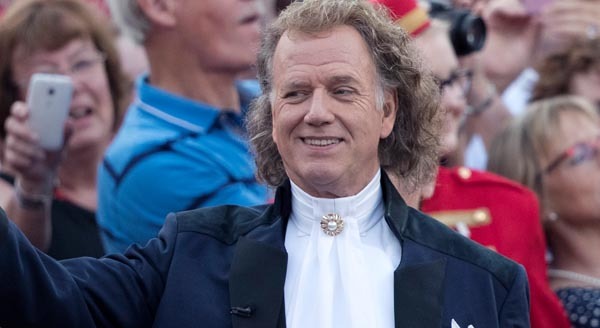 This year is a very special year because it is exactly 30 years ago that André Rieu started his Johann Strauss Orchestra in his home town of Maastricht. From a small group of musicians rehearsing in the classroom of André’s son’s primary school to stadiums and concert halls around the world - what a journey it has been!